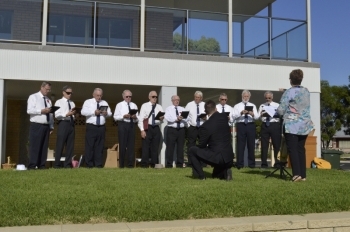 One hundred years ago, as the First Contingent of the Kurrajongs was preparing to march through Inverell on their way to camp, a short religious service was held. This was conducted by former Inverell Presbyterian Minister, and now a returned Gallipoli Chaplain, Rev. J. Keith Miller. He was assisted by Revs. L. Cabuott and J.S. Thomas. During the service the Kurrajongs sang the hymns 'Jesus lover of my soul' and 'God be with you until we meet again' before prayers and the reading of the 46th Psalm. In 2016 this service was re-enacted at Varley Oval prior to the commencement of the Kurrajong Re-enactment March. 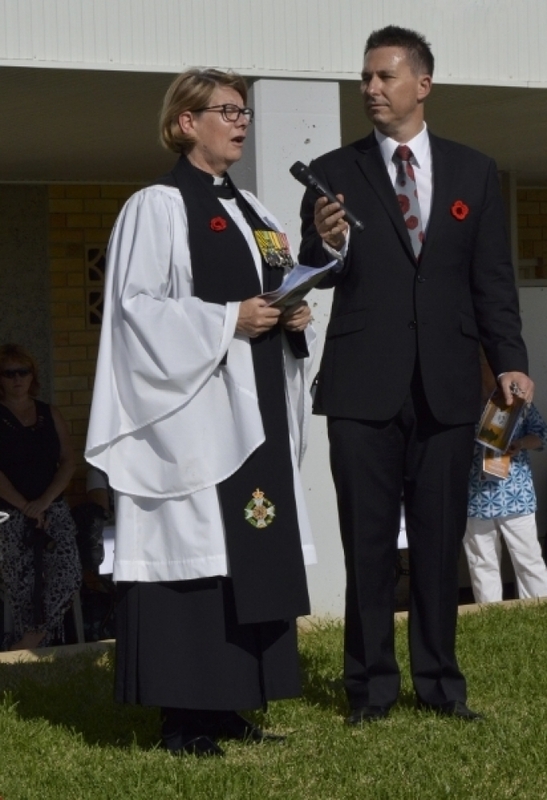 The service was conducted by Australian Army Senior Chaplain Rev. 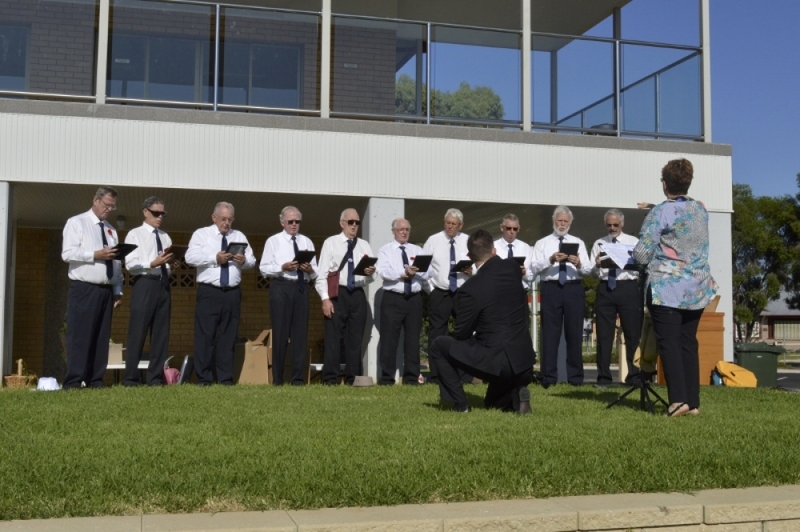 Catie Inches-Ogden and the Inverell Male Choir led the singing of the hymns. The choir were accompanied by Richard Ward who played his grandmother's portable reed Bilhorn organ which would have been over 100 years old. Chaplain Rev. Catie Inches-Ogden conducted the 2011 burial service for Kurrajong Private Alan Mather in Belgium following the identification of his remains which were discovered in 2008.